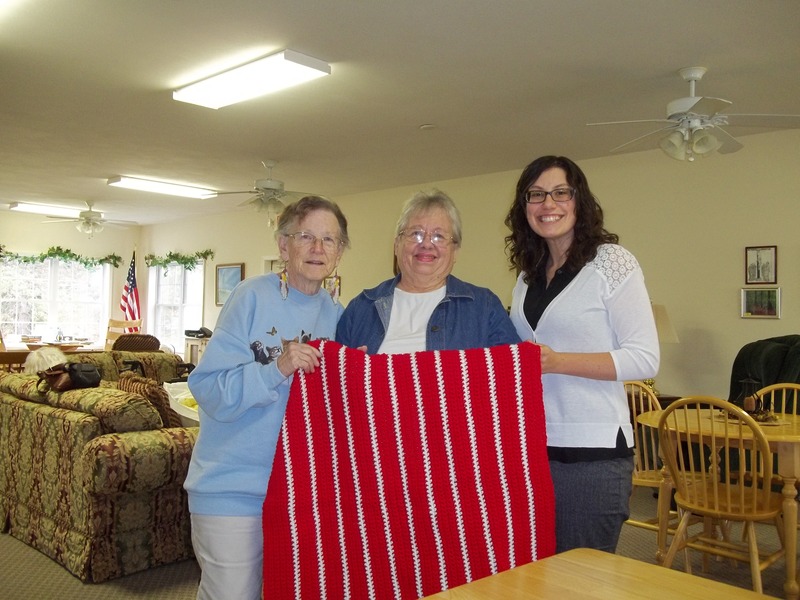 Accepting the blankets on behalf of Oswego County Hospice is Nicole Shue (right), Friends of Oswego County Hospice Volunteer/Community Support Coordinator, with Joyce Hudson and Laura Buske (middle) of the Knit-Wits. 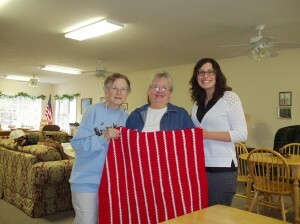 OSWEGO, NY – The Knit-Wits, a senior knitting group in Oswego, recently donated 16 lap blankets to Oswego County Hospice. The group of women meets weekly at the Shady Lane Community Center. The handmade blankets will be distributed to patients in the program.